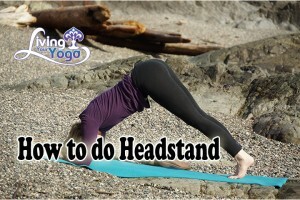 Today we will talk about how to do headstand. I recently asked my yoga students on Facebook and in our membership community, what yoga pose do you avoid the most. Headstand came up a lot. First of all, you won’t see headstand in my yoga classes anymore because I believe this is a yoga pose that you need to do in a yoga class with a qualified yoga instructor so you can receive the proper lead up to headstand as well as assists with a qualified instructor. Esther Myers Yoga studio is the only studio I have ever been do that actually knows how to teach headstand and trains their teachers on how to properly teach inversions. 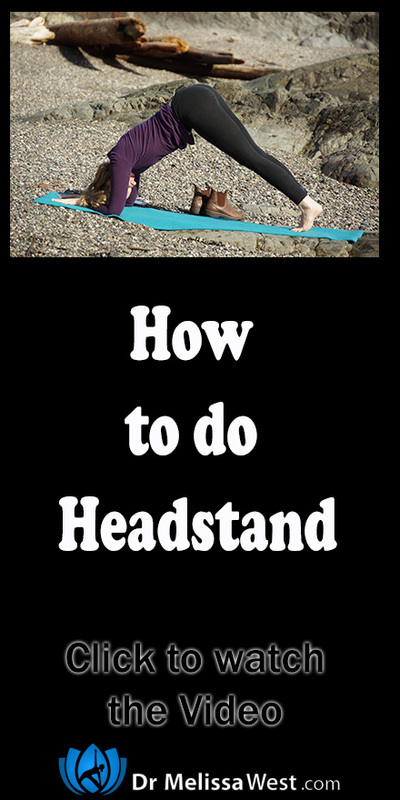 And you definitely should not be doing headstand if you have a neck injury, high blood pressure, ear and eye problems, you are menstruating or have acid reflux. That being said, today I am going to talk to you about how you can safely prepare for headstand so that when you do get to a studio setting with a qualified instructor you will be all set. First let’s start by building up some upper body strength by doing plank on your forearms. Then we will build on this upper body strength by walking your feet toward your elbows as close as you can with your head dangling off the ground in dolphin pose. To continue to build your strength, check out the series of short strength building classes in our membership community. These seven 20-30 minute classes will strengthen your whole body. Monday you will focus on your core, Tuesday back, Wednesday chest, Thursday biceps, Friday triceps, Saturday shoulders and Sunday glutes. Each day we will create a fusion of yoga inspired poses and the best of strengthening exercises. In each and every class you will be strengthening your lower body while working your upper body.